Mountains of Cusco. Experience the beautiful surroundings of Cusco. It’s a bit of an open door to mention that Cusco is surrounded by mountains. Just wait till you see what’s about to hit you when you stand on “Plaza de Armas”, the central square of Cusco! Not only the magnificent square itself, but also the (in this time of the year) beautiful green mountains surrounding the city. The view resembles a painting, and gives you a glimpse of the beautiful nature that surrounds Cusco. It invites you to escape the lively and busy city and to explore this picturesque landscape. Visiting the mountains is a must during your stay in Cusco. You can book a trip with a local agency, hike into the mountains by yourself. You can also join a fantastic hike organized by the Spanish school. 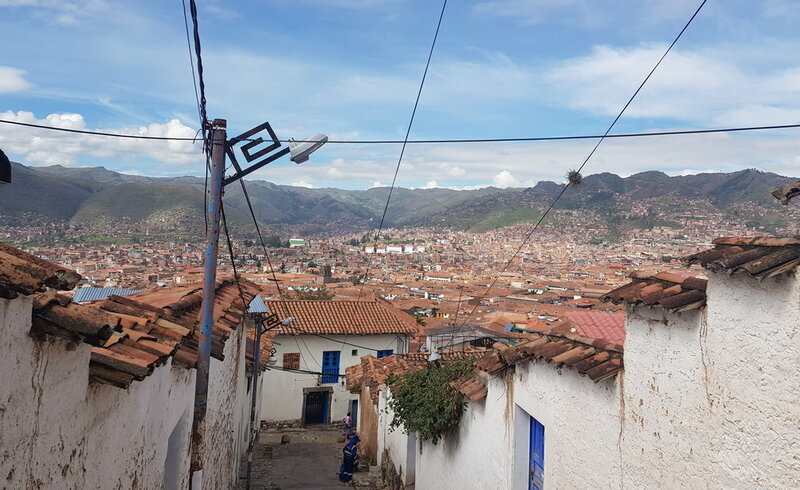 Starting from Plaza de Armas, you will hike up through San Blas, till a breath-taking viewpoint over Cusco. From there you’ll walk along a forested road, till you find yourself in the middle of the mountains. With a bit of luck, you’ll have good weather and a blue sky. In combination with the vast green landscapes, high mountains, alpaca’s, horses and fresh air it gives you a great feeling. As far as the eye can see is beautiful nature surrounding you. Its peaceful and you feel miles away from the busy city. You can walk here for hours and amaze yourself. Caves, small streams, beautiful butterflies, the occasional bird sound… A true fairy tale! During your hike you have to visit the temple of the Moon and the temple of the Monkeys. You can see traces of the ancient Inca culture at those ruins. There is a guide who gives you some short information about the temples (in Spanish). 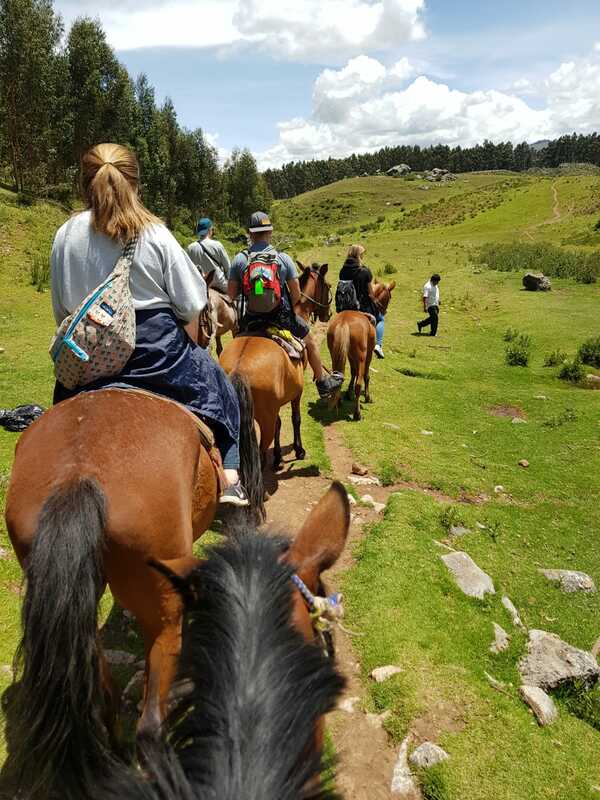 Another fun way to discover the mountains surrounding Cusco is a horseback riding trip! You can book a tour with an agency in the centre of Cusco. They will bring you to the mountains, but you can also take a local bus or even hike up yourself, and rent a horse at a ranch. In an hour of 2 and a half you can make a beautiful trip through the mountains. An unforgettable experience!